Don’t let their name or relatively small size fool you — mini excavators can play a big role in any construction job or other project that involves extensive digging. Mini excavators also offer the advantage of being able to maneuver in tight sports. 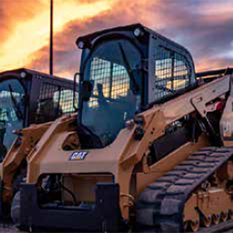 If a brand-new excavator isn’t a practical alternative for your Utah business, a dependable used mini excavator may be just what you’re looking for. Wheeler Machinery Co. carries a large inventory of high-performing used mini excavators at affordable prices. 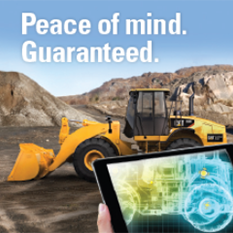 Caterpillar® has been producing industry-leading mini excavators for decades. 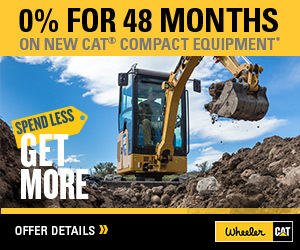 As a proud Cat dealer since 1951, Wheeler Machinery features a vast array of late-model and older Cat used mini excavators that still have plenty to offer to a new owner. And when you purchase a used small excavator in Utah from Wheeler, you get a thoroughly inspected machine in premium condition. We put our stellar reputation behind every piece of used equipment we sell! If you’re looking for a used mini ex for sale that will be a valuable member of your equipment fleet for a long time to come, turn to the trusted heavy equipment experts at Wheeler Machinery. Browse our current used mini excavator inventory today!